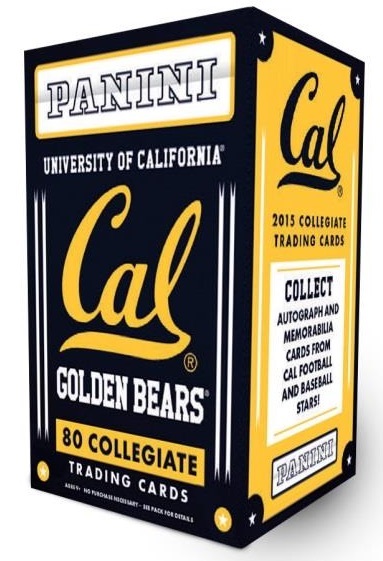 Featuring the Golden Bears in all their sporting glory, 2015 Panini California Bears Collegiate is a multi-sport product designed around the University of California. Each box includes at least one autograph or memorabilia card. The majority of the release dedicated to Cal is covered in a 50-card base set. Among the many sports, former stars of football, baseball and basketball dot the base checklist. Top options include Marshawn Lynch, Aaron Rodgers, C.J. Anderson, Justin Forsett, Ryan Anderson, Jason Kidd, Tyson Ross, Mark Canha and Brittany Boyd. Collectors can also find various autographs in the Signatures insert, with parallels limited to 99 or less. There are also a handful of Memorabilia choices. The Honors insert singles out the previous award winners, including Pac-12 Player of the Year and All-American selections. Parallels build on the release with Silver, Gold and Black options that extend to the base and inserts. 2014 JALEEL WADOOD LEAF ALL-AMERICAN AUTOGRAPH AUTO #25 25 EBAY 1 1? CAL BEARS! !